Spec Builder is a new button that Authenticate members can click when viewing a product’s data page. The technology behind it feeds existing data into a fully comprehensive, auto-formatted product specification document..
From packaging to palm oil, the Authenticate specification template can cover all bases with the data attributes you need for both simple and complex specs. Select your product from the catalogue, fill in the required sections of the data deck, and click to publish or download your auto-formatted document. Spec Builder allows members to bring together due diligence of their suppliers and product-level compliance, all within the same platform. The spec document is timestamped and authorised, using either your own company data or harnessing direct data from your first tier suppliers. 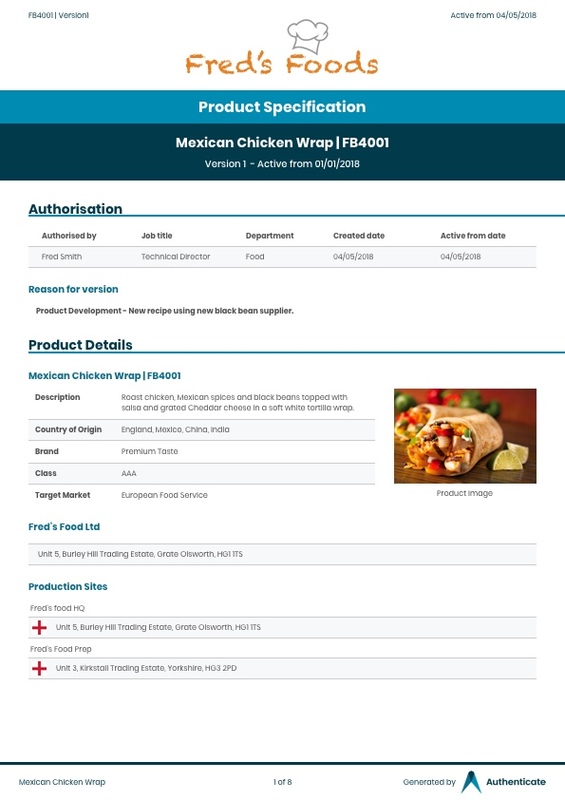 Harnessing direct data from your suppliers allows you to receive notifications of any changes further down the supply chain, such as additional allergen declarations.